The Wolverhampton Volunteer Centre aims are to make it as easy as possible for anyone aged 18 or over that lives, works or studies in Wolverhampton the opportunity to volunteer and to help local voluntary and community organisations get access to the right volunteers. We operate a drop in service on Monday to Friday from 10am to 2pm for anyone wishing to find out about volunteering or register and choose opportunities. No need to bring any ID or CV’s – just yourself. 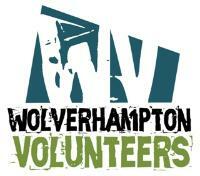 However, you can also register with us via our web site and browse some of our current volunteering opportunities. We will do our best to offer you something suitable for you. Confidential 1-2-1 Interviews: Appointments can be made to suit your needs and we can sign post you to agencies that do offer volunteering for under 18’s, please contact for more details.